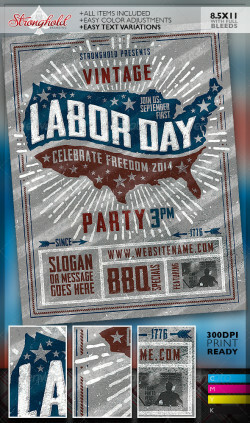 NYE Flyer Template PSD Super Easy to edit text and Elements ALL TEXT IS EDITABLE Resolution: 300dpi CMYK color Layered PSD , Well organized ..
Patriotic Labor Day Photoshop Styles ONE CLICK STYLES !!!!!!!! 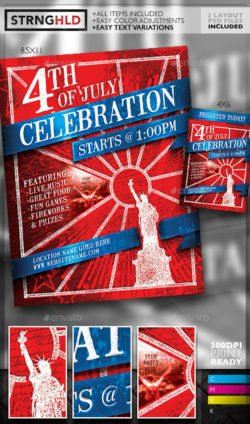 Download file include 1 – a psd photoshop file with all the styles applied ..
My Birthday Party Flyer TemplateAttention!!! 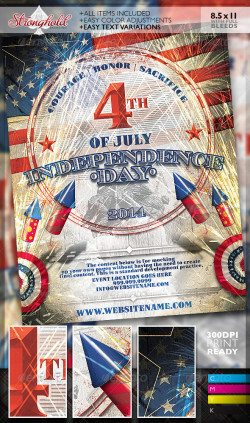 This Hot Flyer will overload your Bash.. this Template designed to promote celebrations parties ..
Camo Army Flyer. 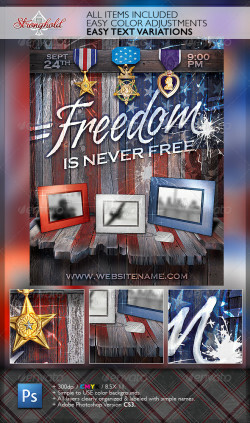 Use for Army Theme party camo clothing theme . 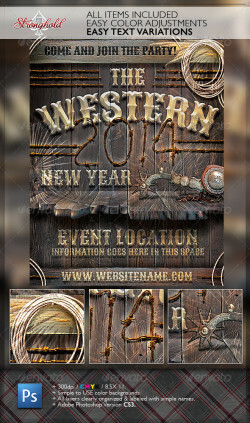 The design Include bleeds, trims and guidelines, Print Ready! Resolution: .. 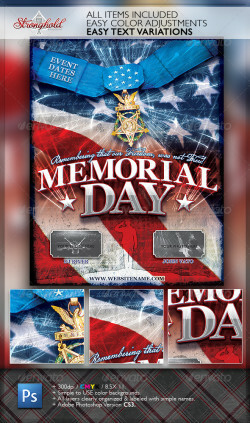 Stronghold Branding: It’s that time of year again with memorial and patriotic events…get started early on your event branding! INCLUDED ..
About: Here’s a fun item that can be used in a number of ways… from simple flyer usage to video presentations and just about anything ..